Hi everyone... I was visiting Genting Highland two weeks ago and a chance to discover the exciting place in there. It's funny actually, I"m from Bentong but the last time I visit Genting Highland was back in 2010. 8 years past by and luckily, I managed to visit Genting Highland again. Resort's World Genting definitely has change a lot and there is so many many exciting things to do and of course play. SkyAvenue is one of the place that you should discover if you love indoor activities and of course shopping. 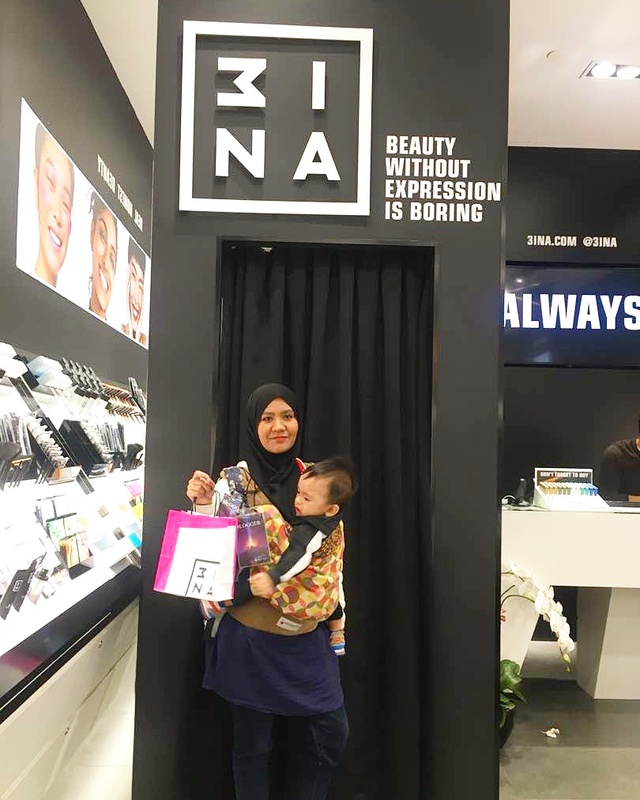 As a woman who love make up and can't definitely go out without make up, I was so attracted to stop at 3INA Cosmetics Store. 3INA, the word itself is so unique and make me confused how to pronounce it at the first time. It's actually pronounced as "Mee-Nah" , it reminds me a lot to my bff Minah! 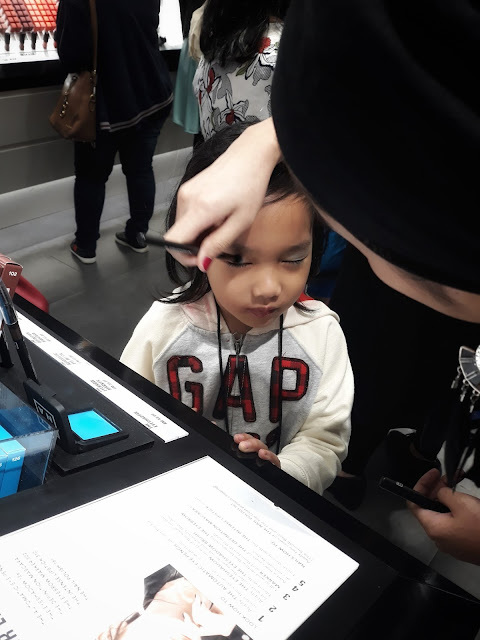 She loves make up too. For your information 3INA is a product from Europe that just launch on 2016 and yet has grown so fast all over the world. 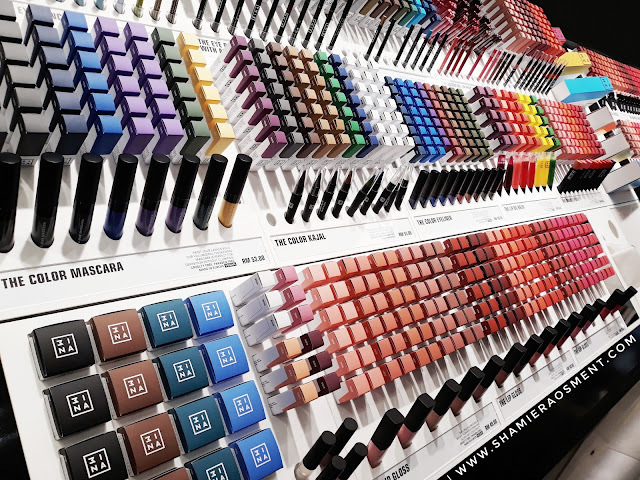 Walking at the store really excites me, the wide range product with a colorful of lipstick, eye shadow, even mascara and eyeliner makes me drooling. Color is the brand's language and their products are tools for self-expression. 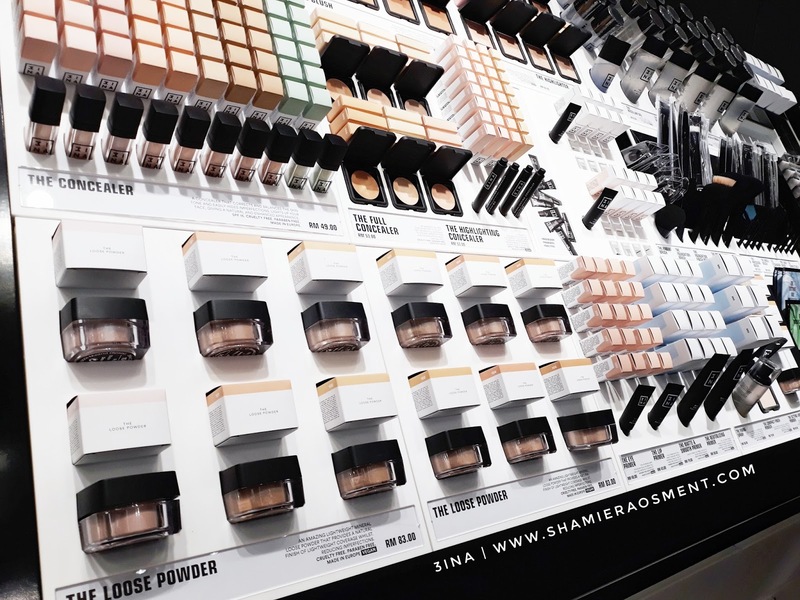 They believe beauty should be bold. It should be fun. It should give you the confidence to try new things. Distinguished by luxurious, highly pigmented formulas in a broad array of hues and shades, 3INA make-up is also CRUELTY FREE, PARABEN FREE, and manufactured in the EU. This is one of the reason people love 3INA products, cause consumer nowadays have a highly awareness about paraben and animal cruelty. Zahra is happy girl, got her make up fix! One of the other reason about this beauty store is the beauty sales person is friendly towards their customer. 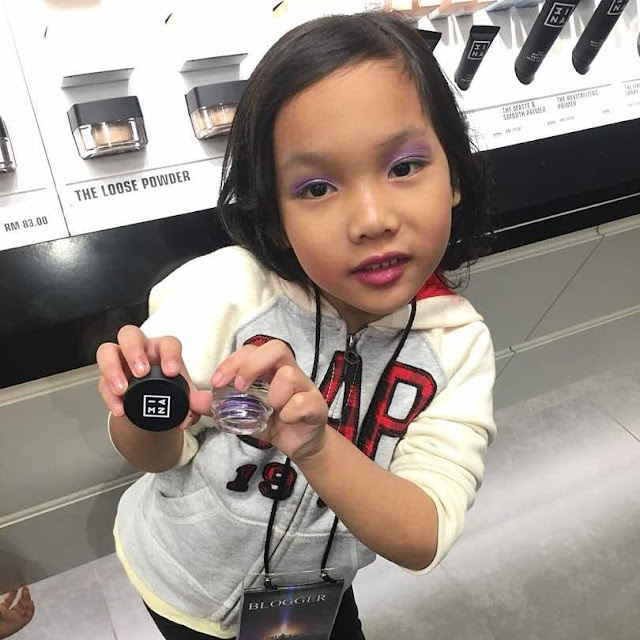 I had my make up fix that day, and the happiest person is my daughter Zahra because she loves make up and her favorite ever cream eye-shadow in purple color! 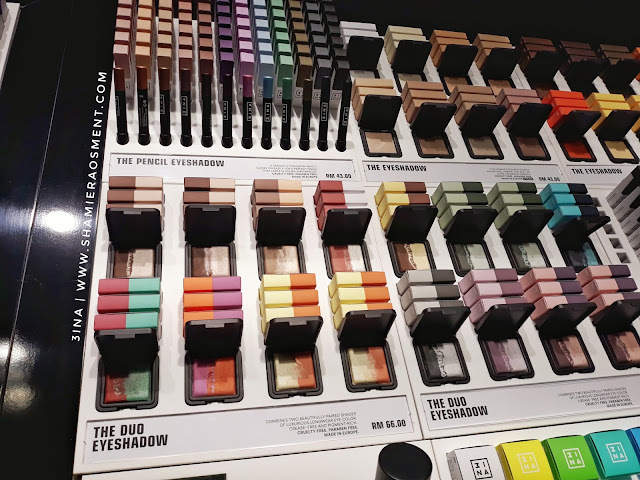 It's so pigmented and makes my sister can't resist to brought one too! The iconic heroes include The Highlighter 201, which gives skin a flashbulb glow and was sold out for months, The Cream Eyeshadow 312, a pearlescent dusky pink that was shortlisted in The Sunday Times Style Beauty Awards 2017 and The Longwear Lipstick, a bestseller from the start which now makes up 8% of sales. And yes! 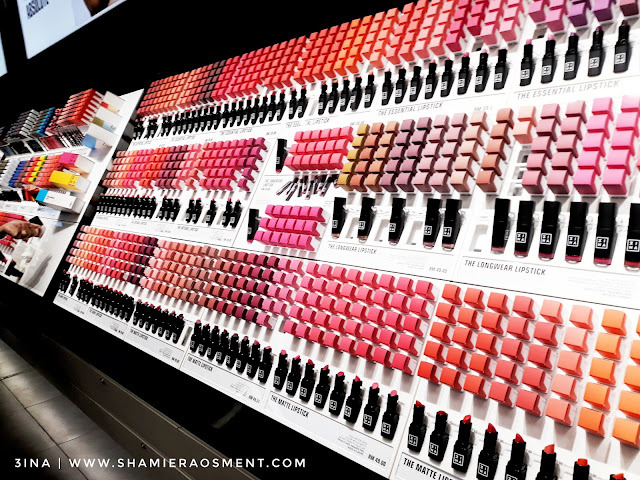 I do love the longwear lipstick, it last for hours. 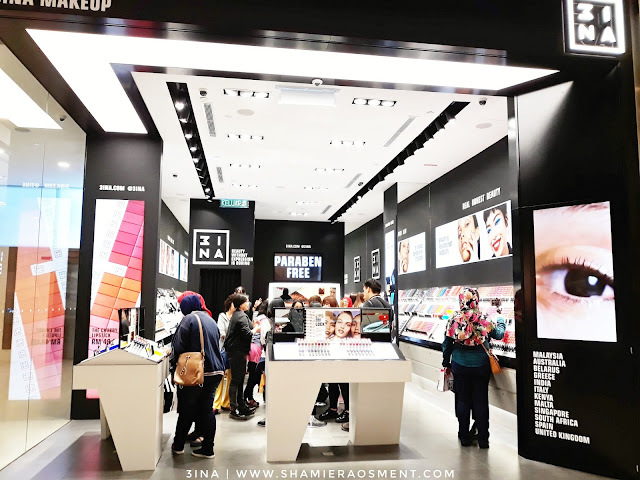 So if you happen in SkyAvenue do check out 3INA stores and grab some make up for yourself and your sister too! BECAUSE BEAUTY IS RELATIVE, NOT ABSOLUTE! very colourful. rambang mata tengok semua ni. apa yang penting semua alatan make up ni free paraben. yehhhh i like..